Never let it be said that the grass grows beneath the feet of AllWater Technologies. 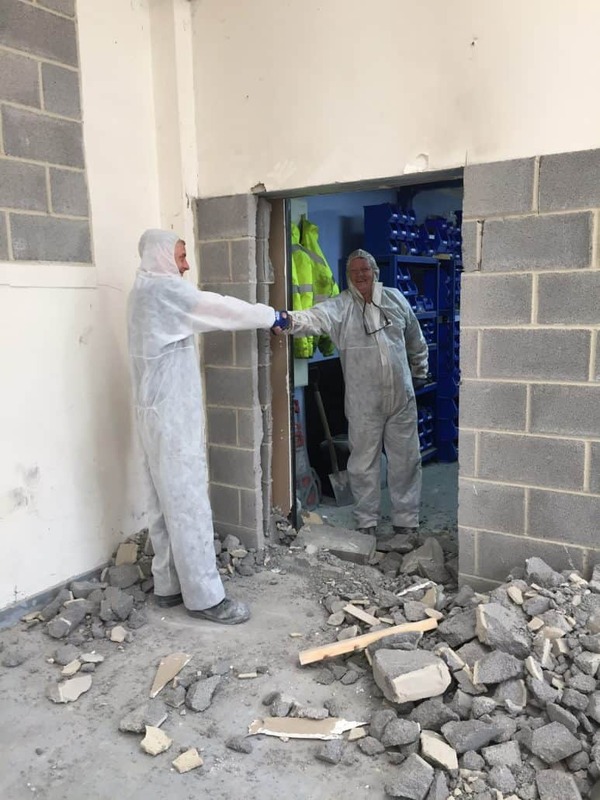 Having developed new offices, stores and on-site facilities late last year they went on to boost their engineering, projects, build and administrative capabilities earlier in the year and have now put in place the final piece of the puzzle by expanding into the adjoining premises! 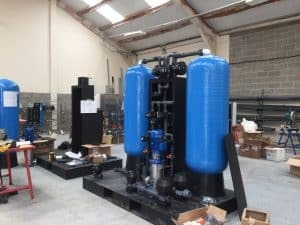 No sooner had the ink dried on the sale documentation, Larry Knights (Workshop Manager) and Tom Robinson (Workshop Assistant) had broken through the connecting wall giving access from the new building to the stores and in just a matter of days, Reverse Osmosis Plant, Deionisation Units and Pump Skids started to take form. The new building almost triples the company footprint and will provide a fantastic dedicated manufacturing zone, testing area and the opportunity to develop new technologies to support ongoing requirements.